First company to choose SMART1 for off shore installations. When Rederi AB Eckerö wanted to increase the safety and the communication onboard their cruise ship M/S Birka, their choice fell on the SMART1. With the help from Zenitel, the ship now has a future-proof, wireless alarm and telephony platform. Push to Talk (PTT) is the fastest and most time saving method of spreading your word to your team. The feature is finally released! Chat with your colleagues, sometime is chat the best way to communicate, now finally introduced in the SMART1 as it should be in a modern communication device. Lenel On-Guard is an open security management platform. 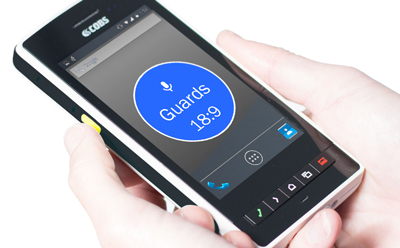 COBS has now developed a software "plug in" for the On-Guard system. The main purpose is to enable functionality for On-Guard to receive and present detailed information from connected COBS devices.